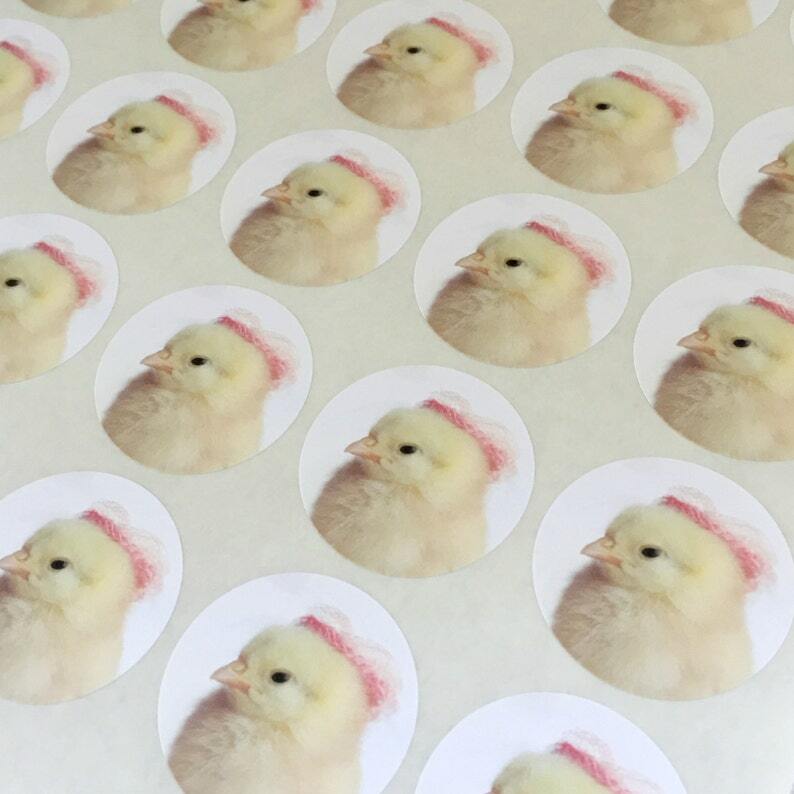 These Chicks in Hats large 1.5 round stickers feature a baby chick wearing a tiny pink lace hat and are perfect for stationary, labeling, anything you wish! Stickers have a matte finish and come pre-cut in a little waxed paper bag. Always great! My top 5 shop. I can never decide which of your cards I like best, so I purchase more than one! Very quick delivery. Love it! Your cards are so beautiful. How do you get the chicks to pose? Really fast delivery.